"Satoshi's music career began at an early age when his parents encouraged him to study the piano. He trained for an admirable ten years, developing a distinct passion for Jazz. Soon after the sound of Hip Hop provoked him to start his foray into DJ'ing and production. Then came house as Satoshi became fascinated by the early Chicago mix-tapes he was hearing. A Japanese cosmetic company asked Satoshi to produce a track for their forthcoming promo parties where the legendary DJ Frankie Knuckles was performing. Knuckles saw the potential in Satoshi's music and asked if he was interested in collaborating. The final result of their partnership was "Tears", a defining moment in vocal house and a song now commonly regarded as an all time classic. Satoshi soon took the leap and moved to New York. Since his seminal hit "Tears" back in 1989, he has gone on to become a major part of the acclaimed Def Mix crew. Although Satoshi's beginnings were based on his musicianship as a classically trained musician, he used his talents in the early years of his career to write, program and produce some of the biggest classic house records of our time. Satoshi also has remixed and worked with the likes of Photek, Kosheen, Simply Red, David Bowie, U2 and Mariah Carey, just to name a few. Satoshi's debut solo album was 2000s massive Full Lick. The album featured the outstanding Satoshi anthem 'Love In Traffic' with Kelli Ali (ex-Sneaker Pimps) on vocals. The track was picked up by John Digweed for his Global Underground mix and remains a progressive classic to this day. The album also included 'Darkness' featuring veteran house vocalist Robert Owens, and 'Inspired' featuring Diane Charlamagne. In 2001, Satoshi Tomiie launched his own label "SAW.RECORDINGS". It was Satoshi's desire to create a platform from which he would be able to showcase ideas and creativity that are more experimental. SAW's first single release "Paranoize" by Bipath (A collaboration work with Stephane K.) caused major excitement from DJ's worldwide. If SAW.RECORDINGS is an example of the direction that Satoshi is heading in, he is acknowledging the changes in the dance music scene, thus shifting what House music is. House music never stops evolving and expanding its borders and Satoshi Tomiie is in the forefront of this movement. Satoshi's Saw Recordings label has carved out a niche and has earned a formidable reputation for credible club grooves. Taking its name from a sound wave, the company has to date unleashed over 60 singles along with 4 albums including Chab's sublime variety of rock, electro and house tracks, SLOK, Guy Gerber, Audiofly X, Jim Rivers, Nick Chacona, Nathan Fake, Lexicon Avenue and Satoshi's own mix compilations ES and ES-B. When Satoshi was invited by compilation kings Global Underground to contribute a mix to their NuBreed series, it was a great honor. Satoshi is the first American based DJ to be asked to record a NuBreed album which is known for only working with the leading cutting edge DJ's. Satoshi's album remains the fastest and highest selling NuBreed to date. 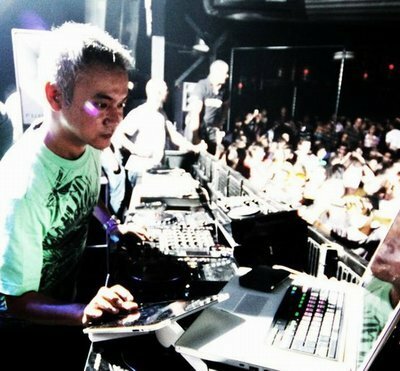 Receiving the highest honor as a DJ, in 2001 Satoshi Tomiie was voted by the public into the #30 spot of the World's Top 100 DJ List and Best Tech House DJ Ibiza DJ Award. Satoshi is also finding International recognition now as a Label owner besides his proven talents as a DJ, Producer / Artist and Musician. The last few years have been all about DJing for Satoshi. This Japanese New Yorker has been virtually everywhere you can think of in recent years, in March 05 Tomiie was also voted Americas ..15 favorite DJ in the world by the premier Electronic magazine BPM. He only spins in his home city (Tokyo) every six months or so; the rest of the time he's traveling, using the Big Apple as a second home which also serves as a handy midpoint between Asia, South America and Europe - where a lot of his gigs are. In 2006, Satoshi was chosen to mix the first album of Renaissance's new series 3D. The 3 CD series will include the following discs: Club, Home, and Studio. This is a step above any ordinary compilation as it will offer a 3-dimensional view into Satoshi's musical life spread across the three discs. The 'Club' disc will be a straight-up reflection of the sets he is currently playing in clubs. Disc 2 'Studio' disc will feature a selection of his original productions and remixes. Disc 3 will be 'Home', a selection of tracks; mixed or unmixed that Satoshi listens to in his downtime and tracks that has influenced him over the years. Following up with the releasing of successful 'Masters' series on Renaissance and releasing of his own singles 'Glow' in 2007 as well as 'Solar Wind' in 2008 on SAW.RECORDINGS, Satoshi is now preparing another album planned to be released late 2008 for Renaissance. The collaboration with Audiofly, Opus Ink's 2nd single is also in the pipeline. Satoshi Tomiie 2nd album "New Day"
All times are GMT -4. The time now is 08:34:47 AM.